What does Brexit sound like? In Brussels, the closing concert at the Klarafestival will focus on the long history of artistic ties between the UK and the rest of Europe and how artists on both sides of the Channel have always influenced and enriched each others’ work. Aurora Orchestra and tenor Ian Bostridge, conducted by Nicolas Altstaedt, will perform Les Illuminations, a song cycle by Benjamin Britten based on the text of French poet Arthur Rimbaud. They will also perform Haydn’s Symphony No. 45 in F# minor, perhaps better known as the “Farewell” Symphony, which traditionally concludes with the players leaving the stage one by one, leaving a pair of violins to finish the piece. "We are determined this next chapter will be just as fruitful and inspiring for all of our musicians wherever they may live or work across this fabulously creative continent"
Between the musical works, British literary giants Jonathan Coe and Ali Smith will read from their Brexit novels and writer Sulaiman Addonia brings a brand new short story. 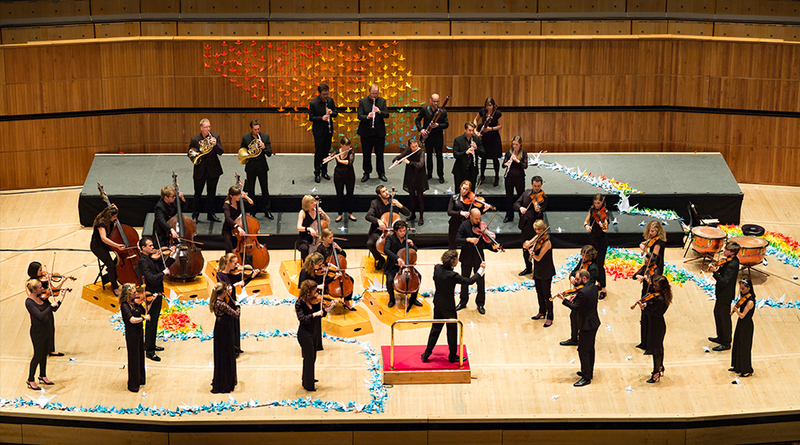 Above: Aurora Orchestra who will be performing on stage at BOZAR, Brussels as part of a special Brexit concert on 29 March 2019. Credit: Nick Rutter. Matthew Herbert’s music has blurred the boundaries between electronic music, dance and – at times – bodily functions. His latest project, variously titled The Brexit Big Band and, latterly, The Matthew Herbert Great Britain And Gibraltar European Union Membership Referendum Big Band, has seen him travel across Europe playing live shows and recording musicians from all over Europe. The result, a new album called The State Between Us, is due for release on 29 March and on the same night he will play at The Royal Court in London. Last week, Matthew Herbert released the longest ever single, “A Week in the Life of a Tree” which is the final 166 hours of the life of a 180 year old tree in Hamburg. An extract of this recording is featured on the album together with a vast array of other evocative field recordings: World War II planes in flight, the dismantling of a Ford Fiesta, a cross-Channel swimmer, a cyclist riding around Chequers, Welsh sheep and a trumpet, freshly battered in a fish and chip shop. © 2016 British Council The United Kingdom's international organisation for cultural relations and educational opportunities.